We’re total converts on combination taps, and one in particular, let us tell you why. 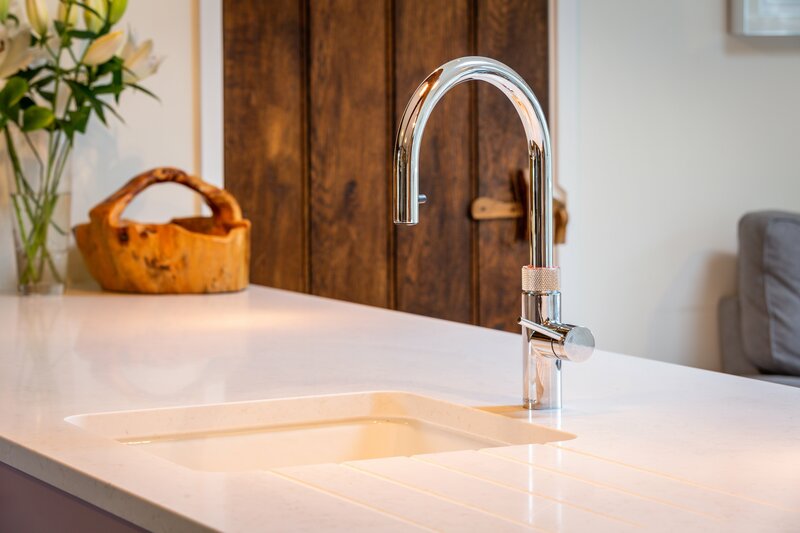 Our favourite and the one we recommend every time is a Quooker tap. If you’ve not come across Quooker yet, it is one of our favourite features in the showroom. From 100°C boiling water, to hot, cold, and now also cold filtered drinking water, is there anything it can’t do from a single output! For us it is the ultimate combination tap and we’re not alone in our enthusiasm either. As soon as our customers see and use our Quooker taps on display, the vast majority request for one to be added to their kitchen design. So what’s so great about it? The most important factor in choosing any combination tap, especially in a home with children, is how safe it is to use. Quooker taps come with a childproof handle and insulated sides that ensure they never feel hot to the touch. When the boiling water does flow, it is a fine spray rather than a solid jet. This functionality gives you plenty of time to get your hands out of harm’s way. It really is simple and safe to use. We love how energy efficient the Quooker is. By generating both hot and boiling water in a single compact tank under the worktop, the COMBI eliminates the need to pipe hot water all the way from the main boiler to kitchen sink. 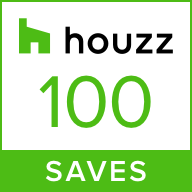 No more running the tap for ages to get hot water, which means you’ll see real energy savings. The patented high-vacuum insulation ensures that the Quooker’s standby usage is just 3 pence a day. In fact, Quooker are quoted to be 60% more energy-efficient than other boiling water taps! Great functionality does not mean your style is compromised either, there are multiple tap designs and finishes available. In addition, all the taps can be selected in a rounded or square shape. There is now a Classic range too, where the styling is slightly more traditional, in contrast to the very contemporary Fusion, Flex and Nordic ranges. The Classic would look ideal in an older property or a more traditionally designed kitchen. If you’re looking for the tap that really does everything, the Flex range comes with a flexible pull out hose for more reach and extra functionality. Fancy taking a closer look? Visit Quooker or drop by our showroom. We now have three Quooker taps installed, we just can’t help ourselves! We have one in chrome, one plated in rose gold, and one in cool and contemporary matte black. It’s hard to pick a favourite but the rose gold one might just be edging it at the moment! Pop in to see the Quooker in action and let’s talk about which might work best in your new kitchen. Book an appointment for a free design consultation on 01342 313133 or by emailing info@kitchensbespoke.co.uk. Like the look of the quooker installation in our image? Check out this recent project in West Sussex.